I love how colourful and fun this is! That red glitter strip is the perfect finishing touch. Awesome color combo. Fresh and fun. 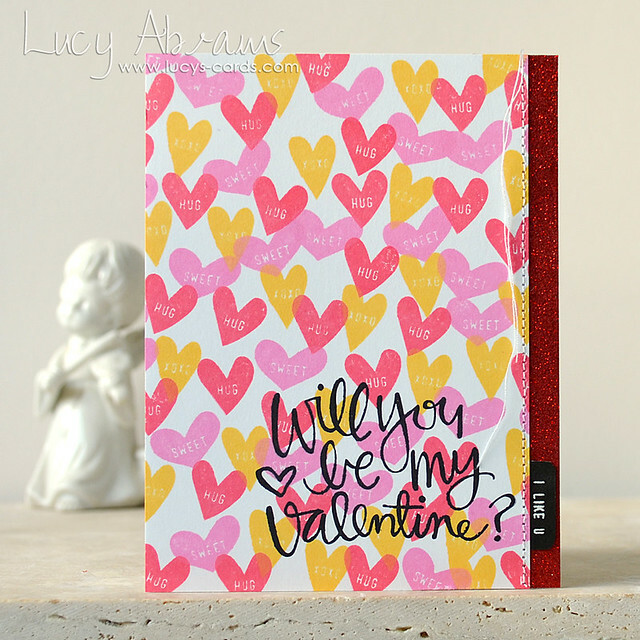 Love the colourful stamped hearts and the touch of red sparkle! LOVE how this came out. great colors! 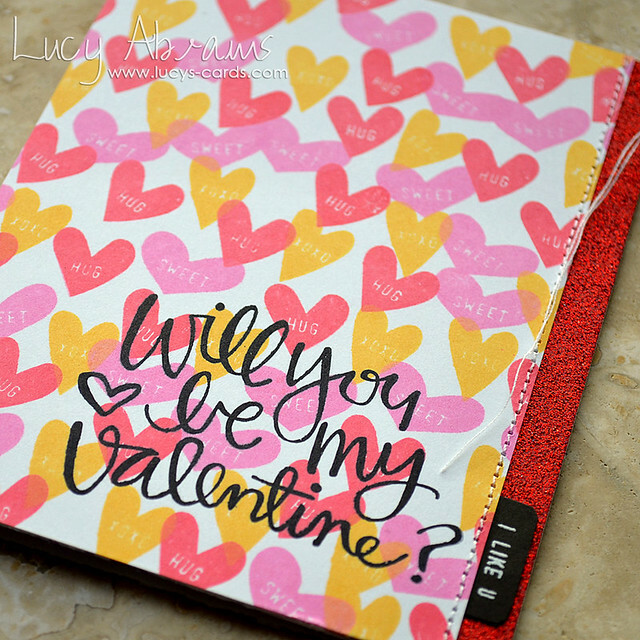 I like the stamped background - looks good!